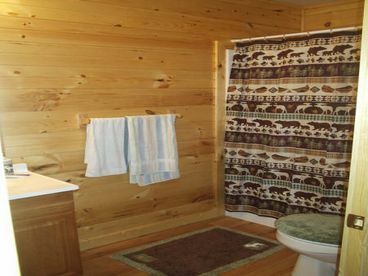 Search 1 Sautee Nacoochee vacation rental view cabins & cottages. 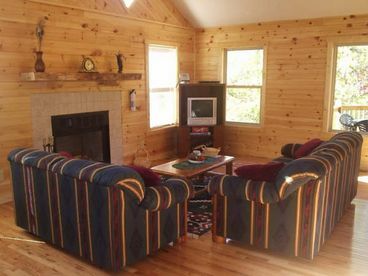 Alegre Retreat is a two bedroom/two bathroom log cabin, with a big open space floor plan that has a full kitchen, living room and dining room. Hardwood floors. 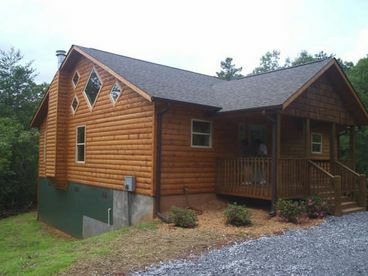 It also has a front porch and back deck with a hot tub and a gas grill. 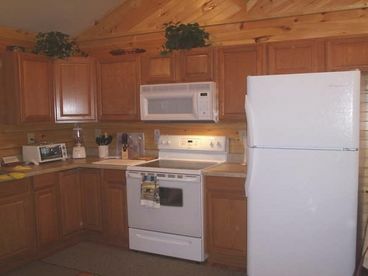 All linens, towels and kitchen utensils are included. 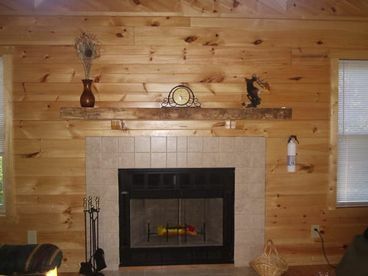 A satellite dish in living room and master bedroom, DVD players, CD player and other amenities. 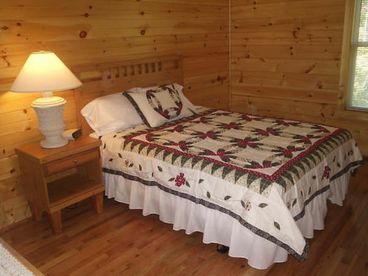 This cabin has everything you need to make your stay a pleasant one.